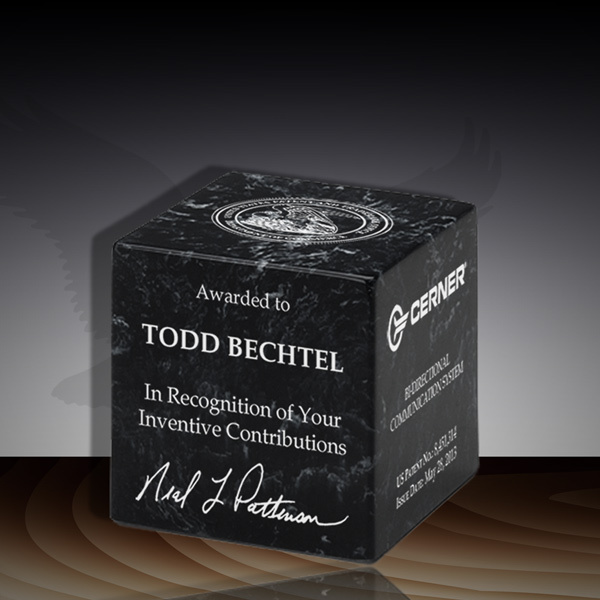 This laser-engraved Black Marble Patent cube is a great way for your inventors to display their achievements. Front etching included in base price. Additional sides optional. 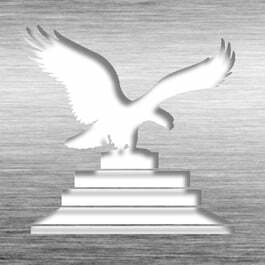 This Patent Award - Marble Desk Cube IP MC-333 is part of our Patent Desktop Award Series of products, check out other products & options available in the Patent Desktop Award Series of our selection. This Patent Award - Marble Desk Cube IP MC-333 can be modified to your requirements and is available for your corporate award programs.